Geneva Rock’s proposal to rezone parts of the Point of the Mountain to includes a large conservation area. The company’s expansion proposal three years ago didn’t include protected acreage adjacent to a park used heavily by paragliders and hang-gliders. Air quality is just one concern raised by plans to expand the Point of the Mountain gravel pit. The area is considered one of the best hang-gliding and paragliding sites in the nation, and its fans fear the ruin of the air currents. For the second time in three years, Geneva Rock wants the City of Draper to rezone acreage next to the gravel pit. 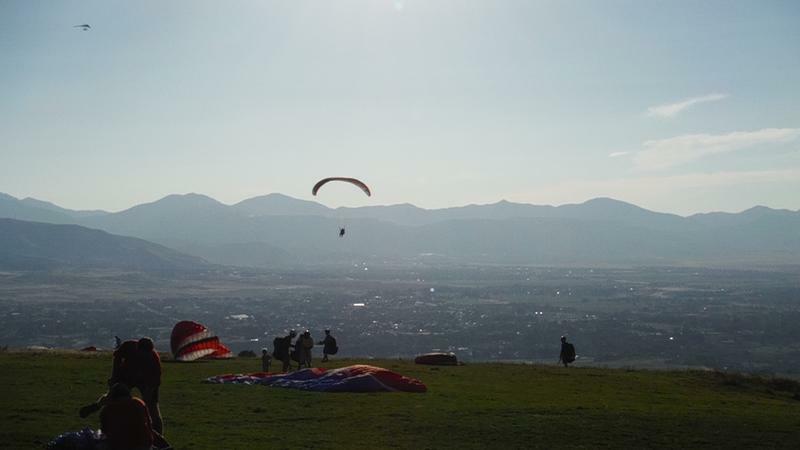 This time the company is also proposing to conserve 78 acres near the Salt Lake County flight park, a favorite hang-gliding and paragliding venue. Jonny Vasic, executive director of the Utah Physicians for a Healthy Environment, said monitoring and research shows the gravel pit continues to poison the air. Geneva disputes the idea the dust is harmful, but the doctors’ group is organizing opposition to Geneva Rock’s rezone request. 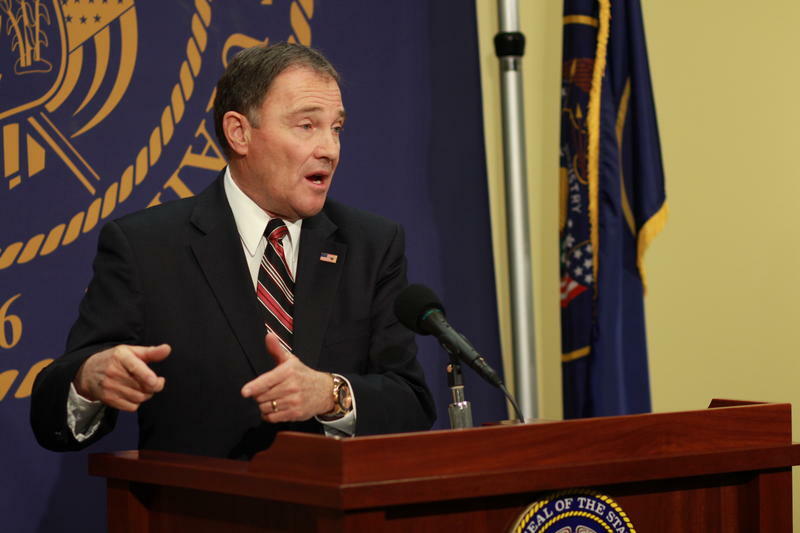 “Utah County and Salt Lake County should be very alarmed by this, because it will mean another generation of pollution coming off of that mine,” Vasic said. In 2008, the state Division of Air Quality assessed Geneva Rock Products Inc. penalties of $1.7 million — one of the largest environmental ever assessed in the state — for excess pollution at Point of the Mountain. The company was required to spend more than $1.3 million upgrading equipment and improving its processes. More recently, it added cleaner vehicles to its fleet. 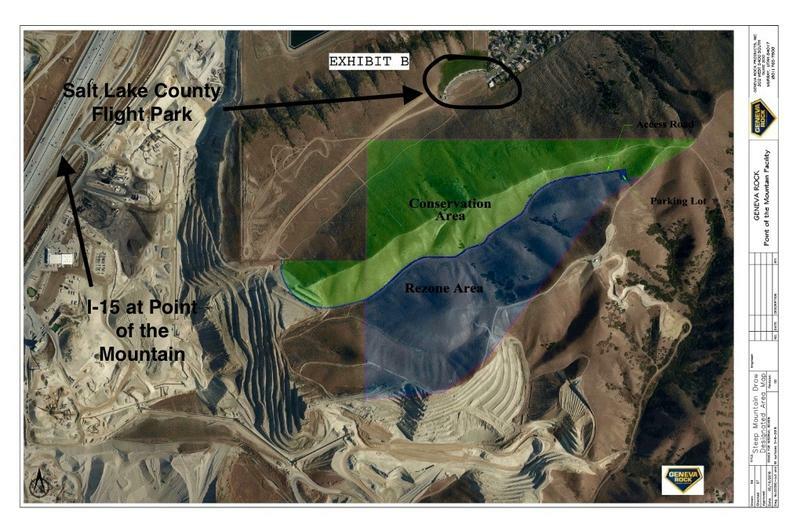 But, in a letter this summer to Draper City, the Utah Physicians for a Healthy Environment said the emissions from the trucks and the dusty operations at Point of the Mountain are pumping toxic heavy metals like uranium and arsenic into the air, as well as hazardous silica. And residents of the most populated counties of the state are forced to breathe that polluted air. The doctors' group and some area residents still oppose the company's rezoning application despite a plan to designate a conservation area in roughly half of the acreage the company wants rezoned. Geneva Rock had not responded to a call for comment before this story went to air. Draper City Council will weigh its decision on the rezoning proposal after a public hearing 6 p.m., Wednesday, at City Hall, 1020 East Pioneer Road.